CAIRO: Marwa Rakha is a 36-year-old, middle-class Egyptian girl who has managed, over the past 15 years, to make three career shifts. In 1996, she graduated from Ain Shams University, majoring in English literature. Her first job was as a receptionist at an oil company, but shortly after she embarked on a career in marketing and public relations in the hospitality industry. Her last position was as director of marketing communications for Fairmont Heliopolis and Fairmont Nile City. The first major move in her life was in March 2002, when she moved out of her parents’ home. But she says 2005 was the turning point in her career path – her first published article came out in March 2005, while the first class she taught at The American University in Cairo (AUC) was in May that same year and the first training course that she conducted began in December. For three years, she juggled several careers in hotels, teaching, training, writing and TV. 2008 saw other landmarks when Rakha moved into her own home in January, her first book came out at the beginning of February, she quit hotels at the end of the same month, she launched her Arabic radio show in May, she quit her segment on OTV, she launched her English radio show in June, and quit training in December to become a full time media figure. A busy year. In August 2010, Rakha became pregnant and is now a full-time mother working from home as an online marketing consultant. We sat down with Rakha to talk about women and Egyptian society. You write of the current state of affairs facing Egyptian women as being, to say it nicely, not so positive. Why do you think women’s issues are being pushed aside right now? Women’s issues have always been pushed aside – it is not just right now! There has always been something more important or more pressing than women and their issues. In a country where people – men and women – are consumed trying to make it through the day, “rights” and “issues” are a luxury. But let me ask you first which “women” and what “issues” are we talking about? Are we talking about the women who have to work and support their families while their husbands stay home, feel miserable, and get abusive? Are we talking about the women who work side by side with their husbands to make ends meet while the essence of their femininity is fading along with their basic human rights? Are we talking about the women who enjoyed a fair share of education but were deprived of their rights because of their very own choices? Like choosing to get married too early, choosing to not get a job, choosing to not have a career, choosing an Alfa Egyptian male, or choosing not to have enough faith in themselves? Women and their rights have been the focus of writers and thinkers since God knows when and the more I read their books and articles the more I realize that we are going in circles! I will give you an example, Dr. Nawal El Saadawi has been calling for the very same things that I am calling for now … there is a 50 year gap between our voices yet we said and are still saying the same things! We are frowned upon by men and women equally! I am also struggling with the idea of empowering women while leaving the men to drown in their archaic ideas of manhood! The stereotypical male is not a match for the empowered woman! Women are part of the social fabric and their issues are inseparable from the sufferings of Egyptians as a whole. You cannot solve women’s issues by focusing only on the women. Do you have any solutions to the situation for Egyptian women? No. If women want to enjoy more power and autonomy, they have to earn it on their own – individually! That said, without education and financial independence do not expect to see much change. But if I am to give you a textbook response, I would ask “the government” to make basic human rights campaigns for men and women hoping that such messages would sink in within the coming 20 years; campaigns against physical and emotional abuse, harassment, manipulation, and violence. I would also urge civil society groups to invest in women’s shelters and rehabilitation centers for victims of domestic violence. A lot of activists, even female ones, have talked about the “disappearance” of sexual harassment since the revolution, but from Bikyamasr.com research and online reports, this doesn’t seem to be the case. Why are so many activists wanting to portray the situation this way? It did disappear during the revolution but that was temporary. I think the activists you are referring to are talking about the spirit of Tahrir … I was there myself and no one looked at me as a woman … for the first time I was a person among people … genders meant nothing. But as I said, it was just until Mubarak stepped down. As you attempt to discuss all things women, what are, in your view, the major concerns that women here are having at the current stage? The majority of Egyptian women still have the same concerns that they have always had – making ends meet! They do not feel the impact of the revolution in their lives! If anything at all, their men lost their jobs, they have become poorer, and their kids are sitting ducks for thugs. I am not pro-Mubarak, I am just saying that the revolution is not over and we are going through a phase that should either end in real change or end into nothing at all. 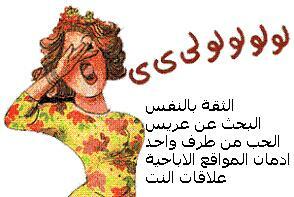 The other women who think of rights and empowerment, are mainly worried about the Islamists reign! This will be the end of their liberation or empowerment! They do not want to fight for divorce, custody, alimony, and FGM over and again. They do not want to lose the spot they earned at the workplace and most important of all, they do not want to be forced into a costume they are not convinced of. Looking forward to elections this fall, there are calls to remove the quota for women. What does this mean for society? Can any women win? In an ideal world the quota should be removed! The quota is an insult, actually. Treating women as politically handicapped individuals is clear discrimination. But then again, we live in the real world where a lot of men – trying not to generalize – regard women as inferior beings unfit for power or politics. So yes, there has to be a quota but it has to be 50 percent – we are after all half the society. Out of the 50 percent women, we can say 10 percent farmers, 10 percent laborers, 10 percent Muslim Brotherhood group, etc. Without the quota, can any woman win? If the labor office removes the 5 percent handicapped employment rate in companies, how many physically challenged people would be able to get jobs? How do you see the reporting on women’s issues in Egypt and on Egypt currently? 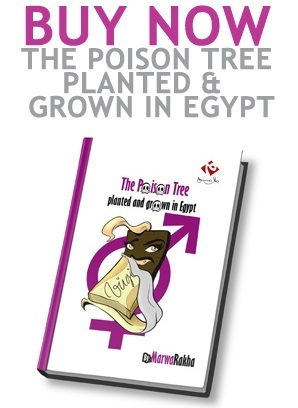 Reporting on all issues in Egypt – not only women’s issues – is a “bait and switch” strategy! Egyptians are given something trivial, that is blown out of proportion, to toy with and fight over while the real issues are discussed behind closed doors or neglected altogether. 3. Self esteem – I am not sure how this should be done but a woman with no self esteem will always be used and abused feeling that she does not deserve any better.